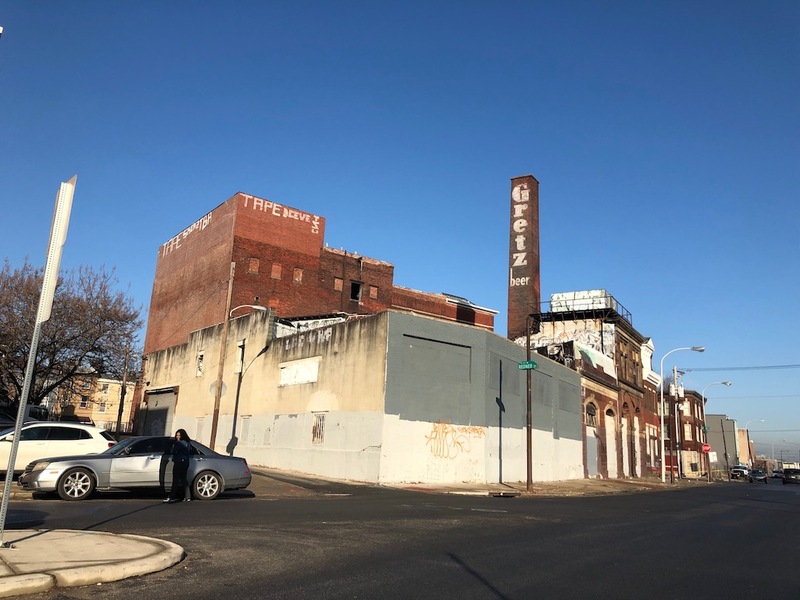 When we first brought the former Gretz brewery at 1524 Germantown Ave. to your attention over seven years ago, we wondered whether the handsome but blighted property could get redeveloped or whether it would eventually fall down or get demolished after decades of vacancy. The latter scenario seemed quite likely less than a year after that story, when the City tore down a section of the property at the corner due to structural concerns. Somehow someway though, the remainder of the building has stuck around since then. And though it looks pretty rough from the outside, it doesn’t look much worse than it did years ago. It’s true that they don’t build ’em like they used to. Handsome facades on Germantown Ave.
Over the last several months, we’ve heard rumblings that something might finally be happening here. Those rumblings have included a few community meetings, necessitated by the fact that any project here would require some variance from the ZBA. Because it’s such a sizable project, it also triggers a visit to Civic Design Review, which provides us with a pretty detailed vision of what developer Tony Rufo is looking to do here. Aside from a couple of newer and junkier looking structures, every building and/or facade on the site is sticking around. 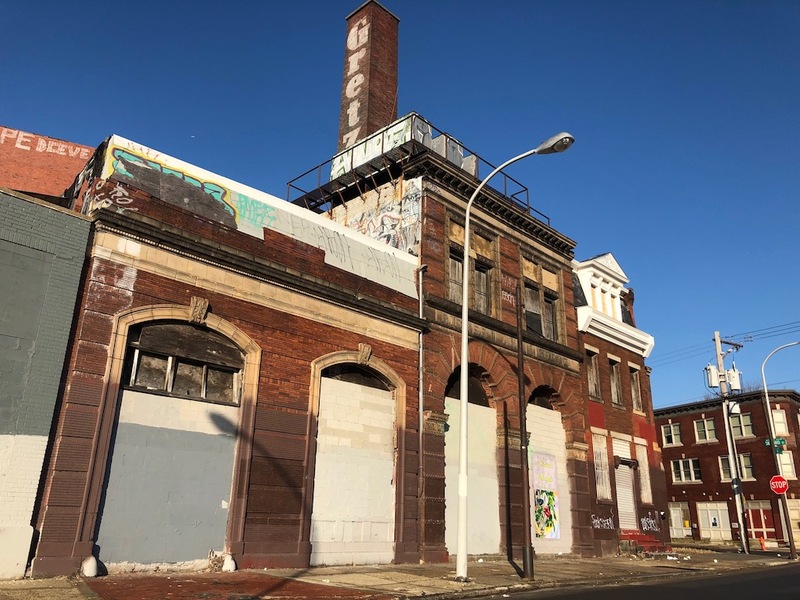 While the former brewery has tremendous architectural character, the preservation of the building is surely due, at least in part, to the fact that the property was added to the local historic register at the end of last year. 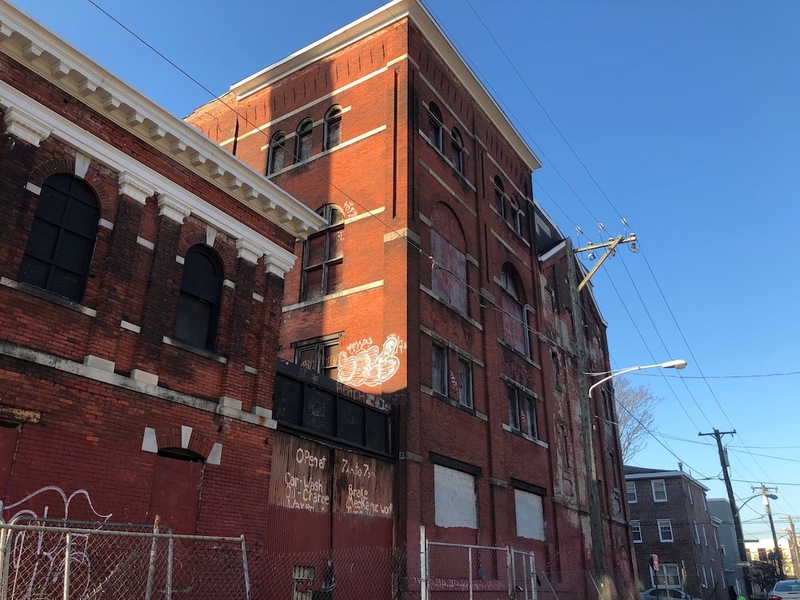 While it will be awesome to see the old buildings come back into active use, the interaction of the old structures with the new additions will ultimately determine whether the project makes sense, architecturally. It’s tough to tell how that will play out from the renderings. In all, the project calls for 220 apartments, 7 commercial spaces, and 48 parking spots. The development will be spread among three wings of the property. 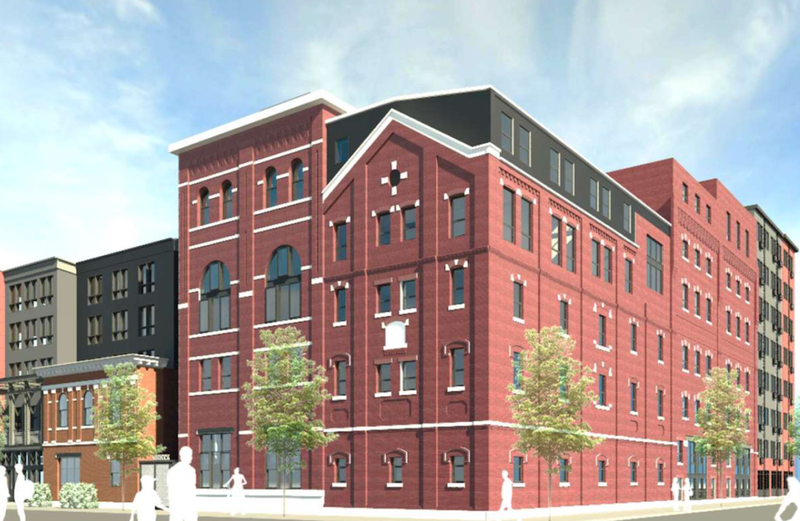 Wing A, at the corner of Germantown Ave. and Oxford St., will include a new five story building at the corner and three new stories atop the existing buildings. A couple of retail spaces will appear in this part of the project. For Wing B, at Oxford & Lawrence, the bulk of the activity will take place inside, with the five story building getting converted into a seven story building. New windows and brick pointing will be included as well, naturally. Wing C, at the southern end of the property, will be a new eight story building with parking and retail on the first floor. When we first covered the Gretz property, developer interest was just starting to pick up in South Kensington, and that encouraged us about the possibility of imminent redevelopment. After all this time, South Kensington is already old news, having seen numerous projects of various shapes and sizes come down the pike over the last number of years. In some ways, this pulls some of the risk out of the Gretz project- with greater neighborhood stability comes higher rents and less vacancy. On the other hand, a more populous neighborhood contains, by default, more people who could oppose a project that requires a variance. Does anyone know what the community has been saying about the project thus far? Is there a sense in the neighborhood that the project will move forward as shown in the CDR packet? Why are we having a variance as this is ridiculous to have if we want to spur developer interest? Best to make it by right to ensure it is built. You’re confused. I don’t think the developer who is pursuing a variance is interested in spurring interest from other developers. The one spending the money trying to get the variance is the developer, or possibly the seller due to some contingency with a developer. And if they were, having an approved variance would most likely increase developer interest and the value of the property itself. My comment was deleted about this looking like a Cheesecake Factory. Very poor design for such an interesting neighborhood. I live two blocks away from this proposal. I hope to this isn’t built as the proposal suggests. Wow, this rendering looks great. Sweet. Let’s turn another one of our historical sites into an apartment building. I’m sure that what Gretz ultimate plan was… to bring people together via undersized 1 bedroom dorm rooms with thin walls, than like a brewery/eatery/community space or something stupid like that. Let’s use the success of Fishtown to dump every huge money making project we possibly can in Kensington and laugh our way to the bank. My comment was also deleted. Just trying to give feedback to the community I live in. But I guess the bloggers don’t want that? This is awesome. I’m worried if we wait longer, we could risk losing this building right out.